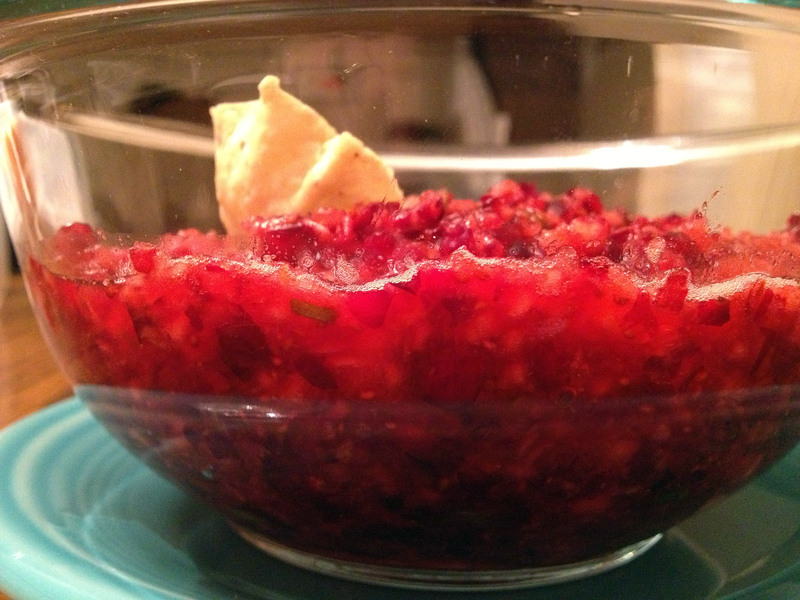 Tonight I made cranberry salsa. We’d purchased it before (and loved it!) when visiting some friends of ours and hadn’t found any since. It’s definitely a sweet salsa, but it has a bit of a kick! 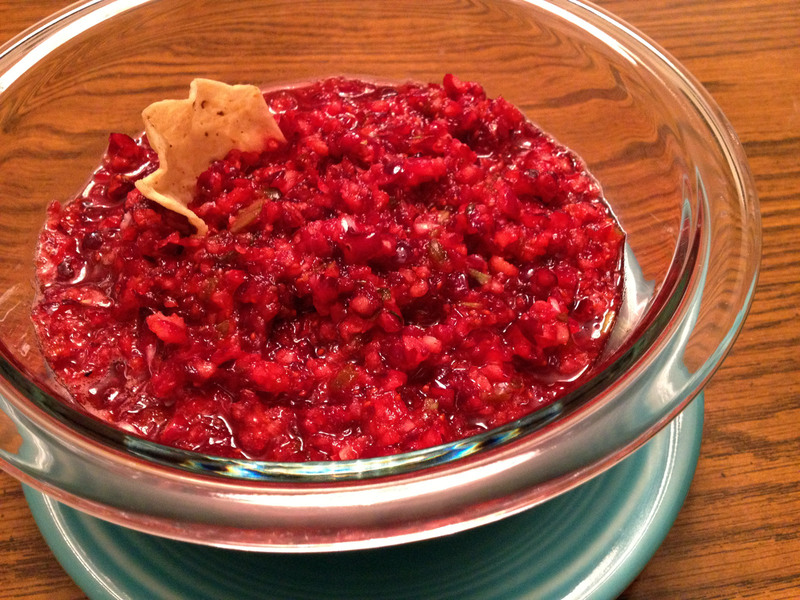 It’s a fun variation on salsa and more traditional cranberry sides served this time of year. I compared a few recipes that I found online and decided to just wing it (and leave out the suggested cilantro since I really, really can’t stand the taste of cilantro). Add all ingredients to mixer. Pulse until salsa reaches desired texture. Refrigerate salsa if not eating immediately (some recipes suggest refrigerating overnight before serving). Enjoy! 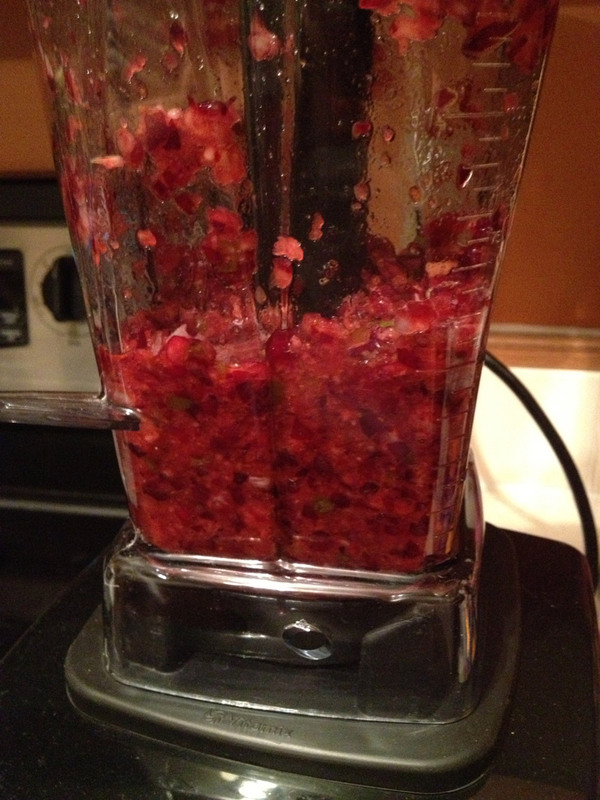 This entry was posted in Blog and tagged cranberry, food, recipe, salsa, vitamix by Kristine. Bookmark the permalink. Looks wonderful! I’m a huge fan of all things cranberry and spicy. I’m going to add this to my to-be-made list. And cilantro is SO gross! Tastes like soap. Bleh. Just discovered your creative blog! So much fun. Looks good! you can make it next time you visit. All content and media Copyright © 2012 Sean and Kristine Gilbertson.